The 110cc scooter segment has become a bit crowded of late. 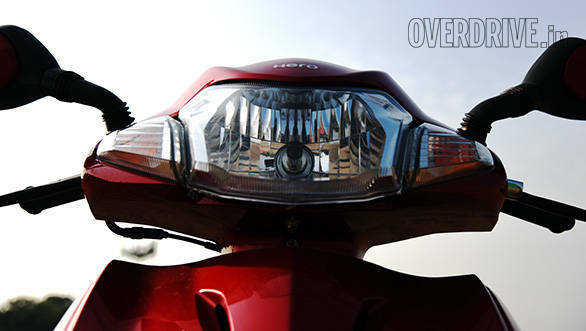 You have the TVS Jupiter, the Scooty Zest, the various Hondas, a few Suzukis and some Mahindras as well. Not to mention the Heros that were born out of the Hero- Honda alliance. So how does one stand out amongst the crowd? You need to offer something that others don't. With a long list of features and an all-new design, both inside and outside, the new scooters from Hero  the Maestro Edge and Duet  are looking to do exactly that. 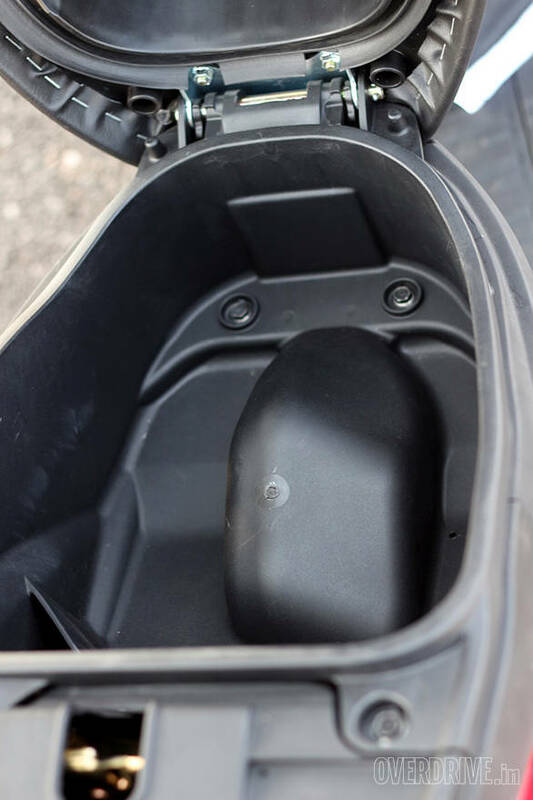 You can read about the Maestro Edge here, but right now let's find out how well the Duet does as Hero's first in-house scooter effort. 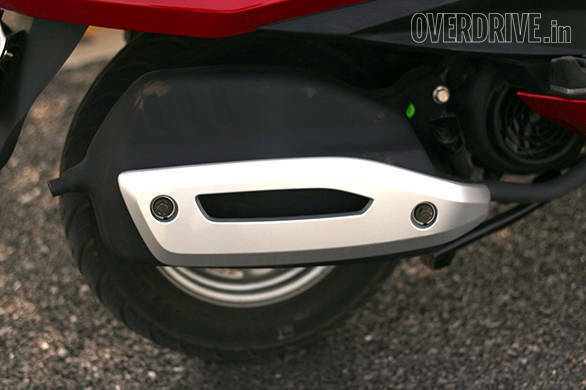 When OVERDRIVE spoke to representatives of Hero when they first unveiled the two scooters, they told us that what they tried to do with the Duet was to get customer feedback and create a design that would be pleasing to the target customer. So all the styling cues you see in the Duet are a result of that. And being positioned as a family scooter unlike the Maestro and the Pleasure, the Duet was made to look stylish without being over the top. I think subtle is the word. In that regard, Hero has succeeded. 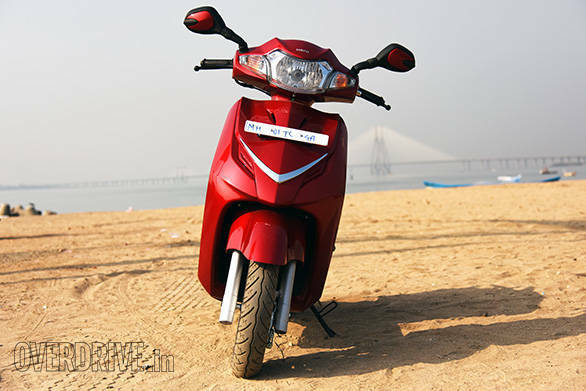 It is a design that is similar to some of the most successful scooters in the segment. Of course it is only similar in terms of the thought behind it  the "V" up front, the chrome strips on the side, the steel body. In the whole, it is a handsome looking scooter that doesn't look dated, but at the same time doesn't look outlandish either. 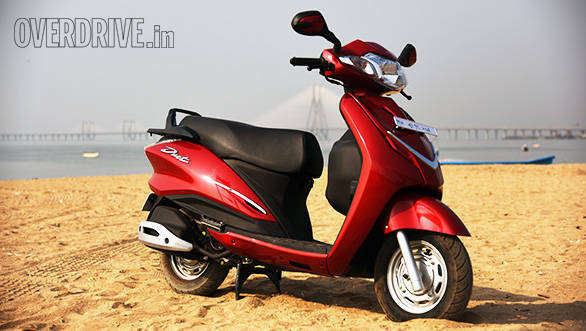 It is also one scooter that comes loaded with features. 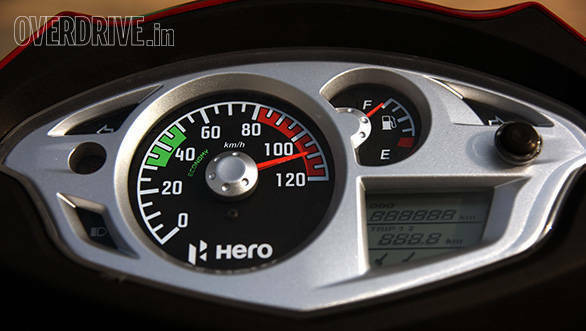 It gets telescopic suspension, an optional fruit cargo box, an analog instrument console with a digital odometer, trip meter and fuel gauge, an external fuel filler, a USB 3.0 charging point under the seat, Hero's integrated braking system and a small luggage rack at the rear that has a 10kg load rating. 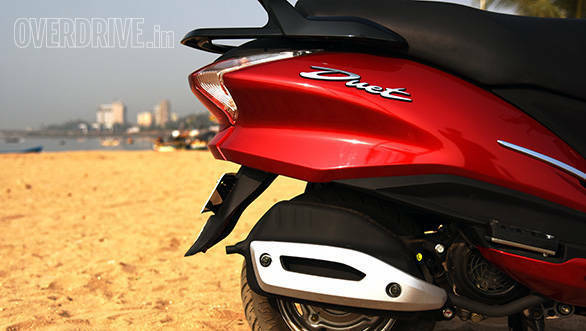 Like the Maestro Edge, the Duet too uses a 110.9cc motor that makes 8.4PS and 8.3Nm. The engine is quite refined and peppy too. 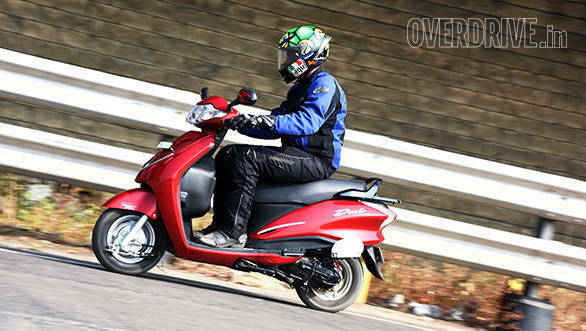 Progress from standstill is quite brisk with the scooter hitting 60kmph in 9.8 seconds. This is a bit slower than the Edge because, thanks to its metal body, the Duet weighs an additional 6kg. The additional weight also affects top speed a bit, which, at 82kmph, is lower than the Maestro's by 2kmph. The engine otherwise is a happy little number that does extremely well in congested city conditions. The variomatic gearbox is quite good too. It is a responsive gearbox with very little lag and doesn't take long to get going when you whack the throttle open even while in motion. During our test cycle, we managed to get 48.9kmpl in the city and 57.1kmpl on the highway. This means the Duet returns an overall economy of 51kmpl, which is not the greatest fuel economy we have clocked on a 110cc scooter, but it isn't bad at all. This is where the Duet shines. 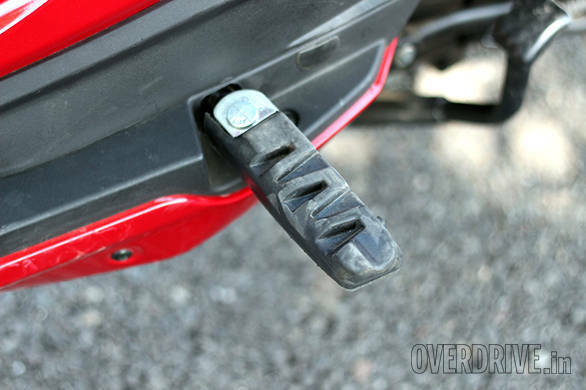 The scooter uses a telescopic fork up front and a hydraulic shock at the rear. 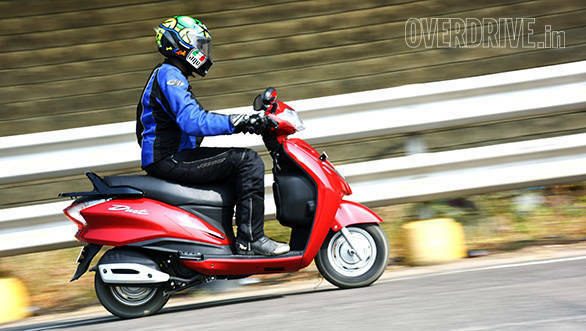 By nature, the presence of a telescopic fork does give the Duet an edge in terms of handling as compared to scooters that still use a trailing link. But the way the Hero engineers have set up the Duet's suspension is quite outstanding. The Duet has to be one of the best riding scooters that I have ridden in a while. It soaks up everything that you can throw at it and goes about its business without batting an eyelid. The ride quality is really that good. Bad roads, jumping speed breakers, nothing seems to faze the Duet. And it is not just the ride quality. Thanks to being metal bodied, there is some added stability courtesy the extra weight. 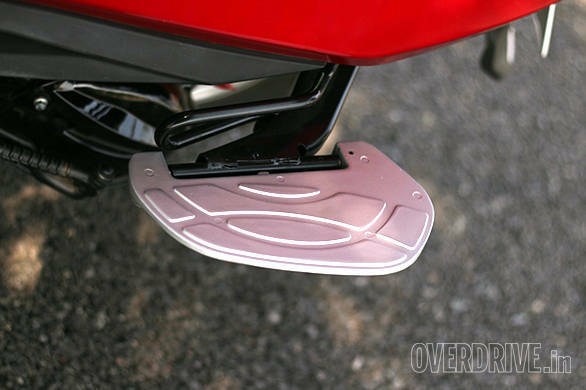 When you add this to a chassis that is already a great handling package, it makes for a scooter that you can really push. As with the Maestro Edge, I'm looking at this scooter as the first of many motorcycles and scooters to come out of Hero's R&D division that does not have any input from external agencies. I choose to ignore the Xtreme Sports and the rest of them because they did not live up to the mark and still felt like rehashed Honda products. The Duet though is a really good product. It handles well, it rides exceptionally well, it looks good, it has a a lot of features and a great engine as well. 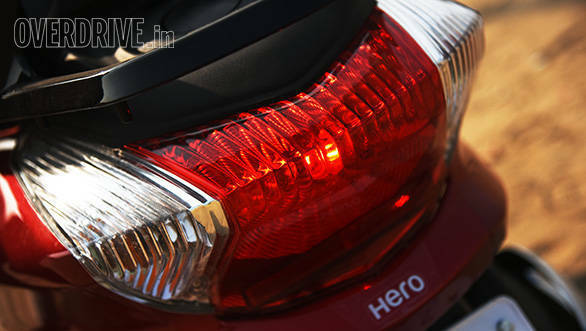 The problem though is that at Rs 49,900 (ex-Bangalore), it is priced dangerously close to the Maestro Edge. And I believe that this is where the Duet's real threat lies. 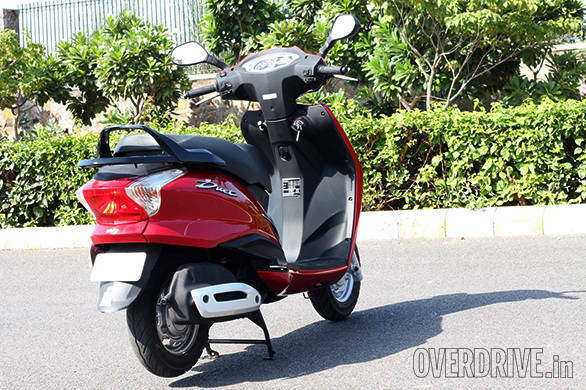 With what I feel is a better looking package overall, a tiny bit of extra performance and a price that is only a few thousand rupees more, the Maestro Edge just might eat into the sales of an otherwise excellent scooter.